Certificate kit includes 25 customizable certificates, color-coordinated ribbons and gold foil seals. Ideal for recognition of special achievements, announcements and awards. 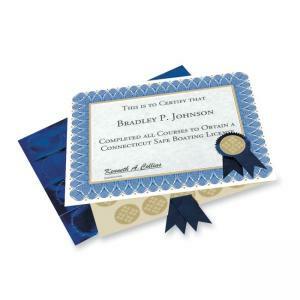 Certificates are easy to format and print using inkjet or laser printers. 60 lb. paper is acid-free and lignin-free, and made from 30 post-consumer material.